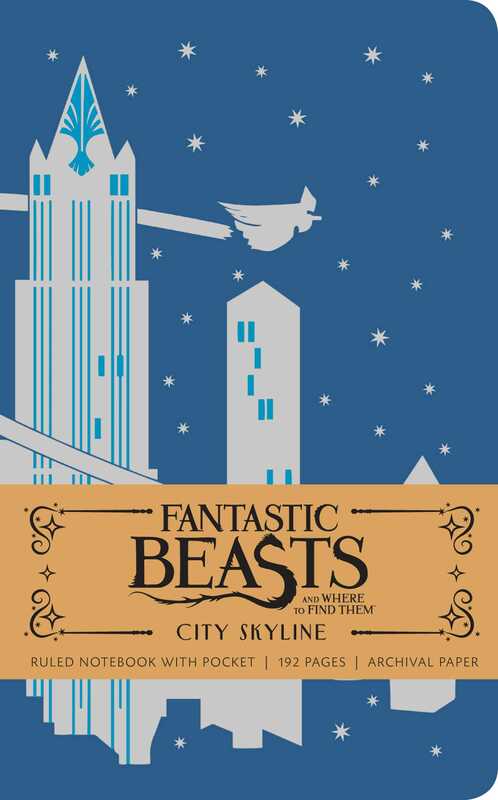 Record your own magical journey with this Fantastic Beasts and Where to Find Them­–themed writing journal. Fantastic Beasts and Where to Find Them takes viewers to 1920s New York, introducing a whole new cast of wizards, witches, and No-Majs. This finely crafted journal celebrates the exquisite art and design of the film, and is the perfect accessory for fans of J.K. Rowling's Wizarding World. With sturdy construction and a sewn binding, this journal lies flat, and the 192 lined, acid-free pages of high-quality, heavy stock paper take both pen and pencil nicely to encourage inspiration. The journal also features a ribbon placeholder, elastic closure, and back pocket ideal for holding small photographs and sketches.